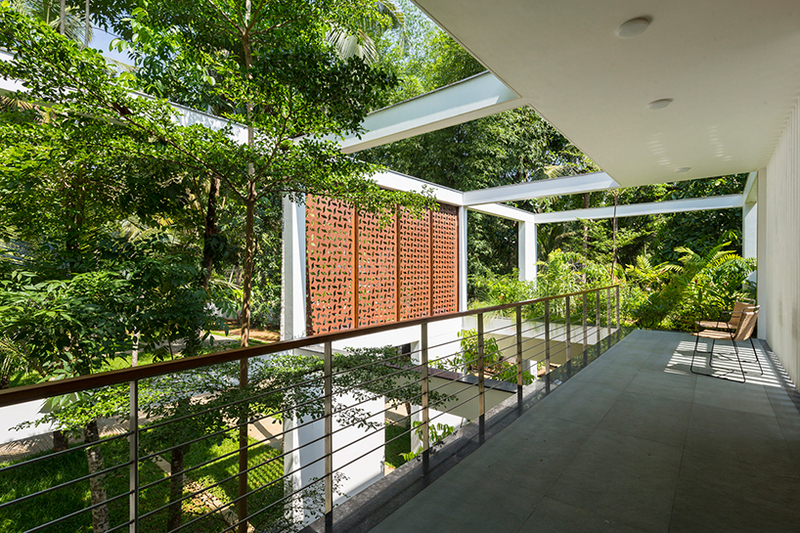 The Regimented House, is a large residence immersed in nature located in Kerala, India, designed to keep the internal temperature comfortable during all times of the year. 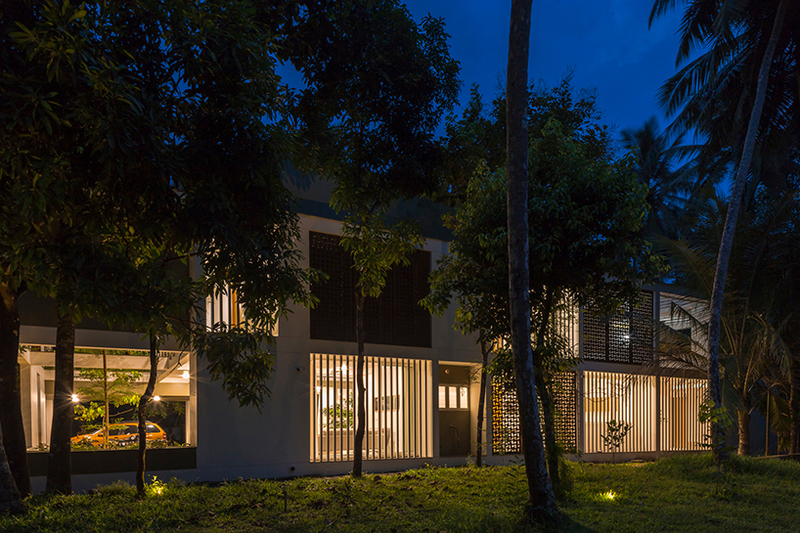 Designed by LIJO RENY architects, the dwelling is laid out to maximize cross ventilation that adjusts to the shifts in wind patterns that occur seasonally in the area. 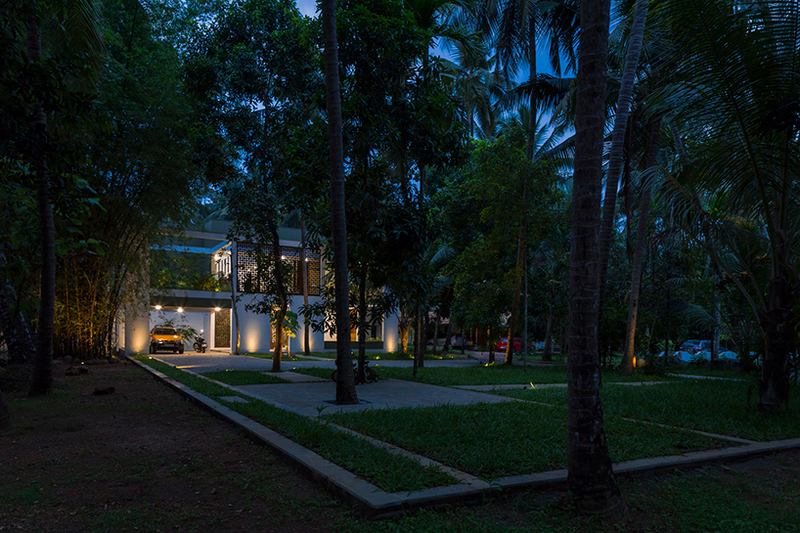 Aside from the home’s functionality, it is beautifully designed lighting up a lantern amidst the vegetation and forestry that surrounds it. 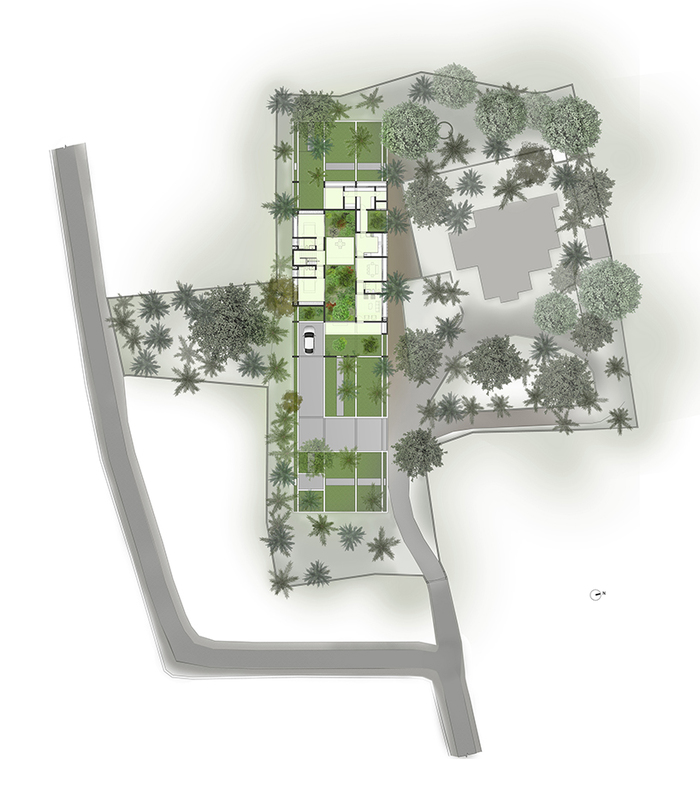 Comprised of two floors, the main structure is built for formal and semi-formal events. The second the building comprises two floors with two bedrooms on each floor. 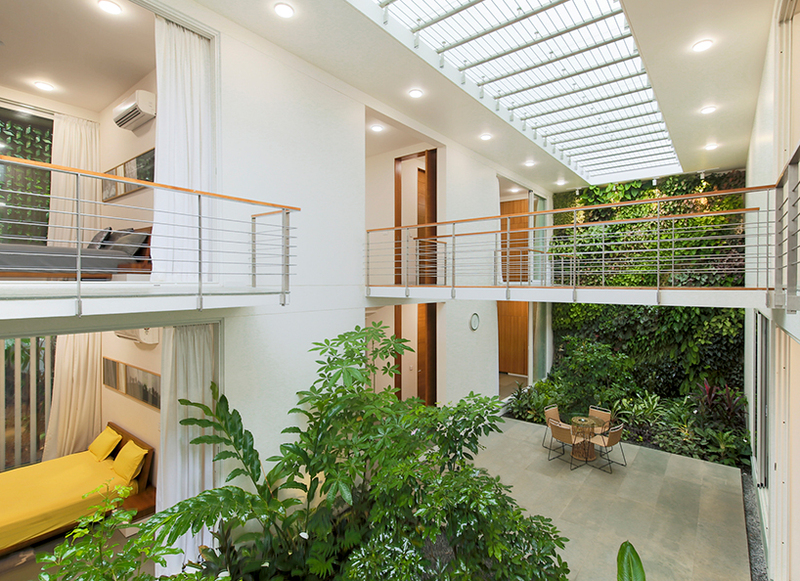 The dining area is connected to the central courtyard by a bridge at the center of the home. 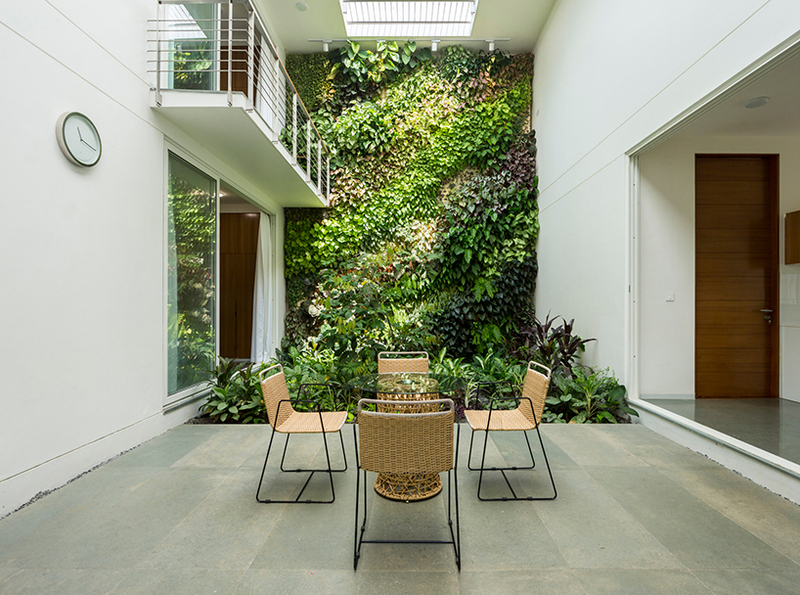 The home is a grid layout separated by a landscaped courtyard requiring immersion of the outdoors to get from one building to the other.